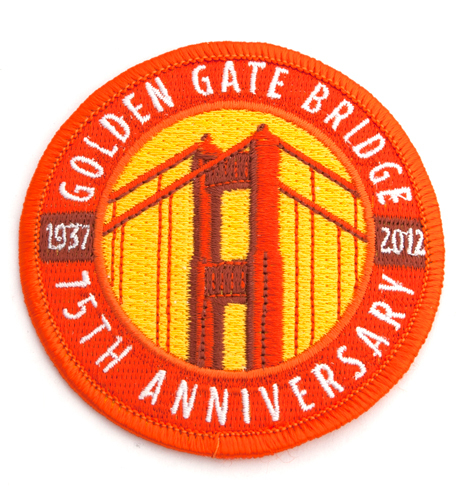 Want to get that awesome Golden Gate Bridge patch the Giants are wearing? They’re for sale from the GGB’s 75th Anniversary Store for a ridiculously reasonable price. Seriously, I usually pay more than that for shipping. Wait…I am paying more for shipping on that than for the actual patch! I blame UPS. And rising gas prices. And A.J. Pierzynski. Seriously, I’m starting to think that patches have replaced the collectible pins as my collector’s item of choice. I paid way too much for the Pac Bell Park-2000 patch they wore in 1997…and I looked for those for years. Nice educational purchase, and please support our local national parks. So if you want this patch, go get it by clicking here.